Home Profile of SAF Praha spol. s r.o. Jetting (pneumatic jetting boxes, mobile jetting units, air-pressure jetting chambers, combined chambers for jetting and metalizing, jetting machines with spinning wheels, dust separator, abrasives). 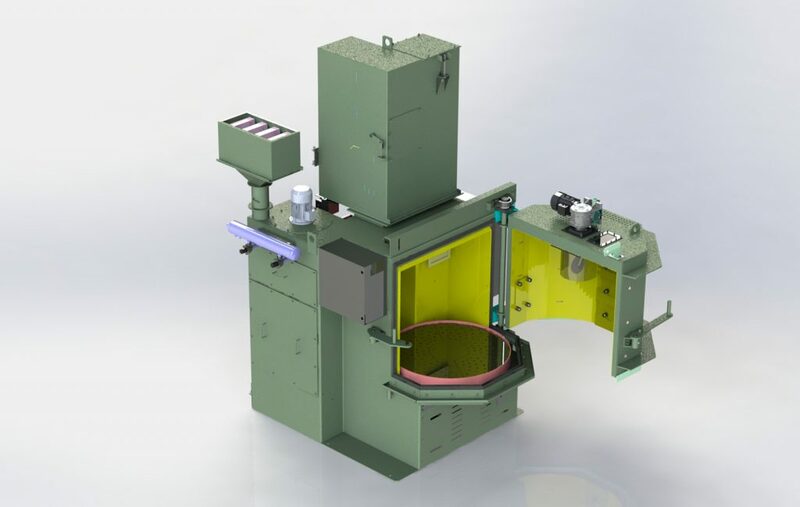 Metalizing (metalizing boxes and chambers, electrical arcs and gas metalizing guns, combined jetting and metalizing chambers, dust separators, additional materials). Jetting boxes, suction walls, varnishing and drying chambers, degreasing cabins including the complete accessories. S.A.F. Praha spol. s r.o. was established in 1991. It was established by professionals in the field of surface treatment. The company initially focused on advisory in the field of surface treatment, mostly in the field of jetting, hot jetting of metals (metalizing) and the application of paint. The company gradually commenced its own production of device for surface treatment. The first produced device types were pneumatic jetting boxes, suction and pressure (model PTZ), which are still produced but their construction was changed to comply with current technical trends, standards, and regulations applicable in the Czech Republic and the EU. This device can be adjusted to the standards and regulations valid also in other than defined countries (e.g. Russian Federation, etc). During its existence, S.A.F. Praha spol. s r.o has developed and produced more than 350 pcs of pneumatic jetting boxes. During the following years, the company started producing its own air-pressure chambers, continual jetting machines with spinning units and the device for hot jetting of metals – metalizing boxes and cabins, and started delivering the varnishing shops and complete technological device units for surface treatment. In 1993, the company moved from leased areas to their current workplace in Přišimasy at Český Brod. Between 1993 and 1995, the workshops and offices were built. Due to growing demand for the jetting and metalizing devices, S.A.F. Praha spol. s r.o in 1996 with other companies focused on the production of other devices for surface treatment (varnishing blue and powder, degreasing machines, etc.) established joint stock company ASO Humpolec, a.s. It laid the foundations for complete provision of the product ranger manufacturing. Between 2002 and 2003, the assembly workshop in Přišimasy was completed for small and atypical devices, in 2004 new test room for jetting and hot jetting was built for testing on two types of manual and semi-automatic pneumatic jetting boxes, in various parameters using various types of abrasives. 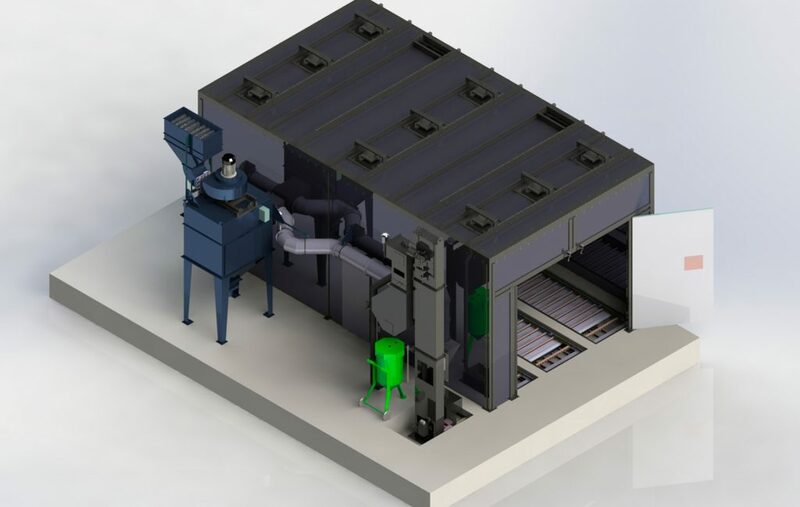 The test room is also equipped with metalizing box with gas and electric arc jetting technology. In 2005, the reconstruction of the company internal areas was completed (new dressing rooms, offices for the construction and design, handover of tools). In 2008, the reconstruction of other premises was completed in Přišimasy which enabled the extension of business department, construction, and design. During this period, the company moved to 3D modelling and creation of the construction documentation. In the end of 2010, new assembly hall was approved including the warehouse for semi-finished products and completed products. The workplace in Přišimasy considering its good technical equipment is used for the production of atypical jetting devices, production, and technically demanding parts, and in recent years also the development and production of devices and tools for special technology (e.g. the devices for the testing of pyrotechnics as per EN 14035). S.A.F. Praha spol. s r.o cooperates with the Department of Manufacturing Technology ČVUT in the area of general and applied research, education of specialised subjects, and creates the conditions for the work in the test devices for the bachelor and master degree students. S.A.F. Praha spol. s r.o. can design and implement many special structures of devices for general purposes. During the implementation, S.A.F. Praha spol. s r.o. in most cases processes technological project used for the contract processing in the construction and production documentation. The contract in the whole process implementation is monitored by the control system with internal audit. Every device passes inspections during specific implementation phases with final comprehensive testing. The results from the completed inspections are recorded. 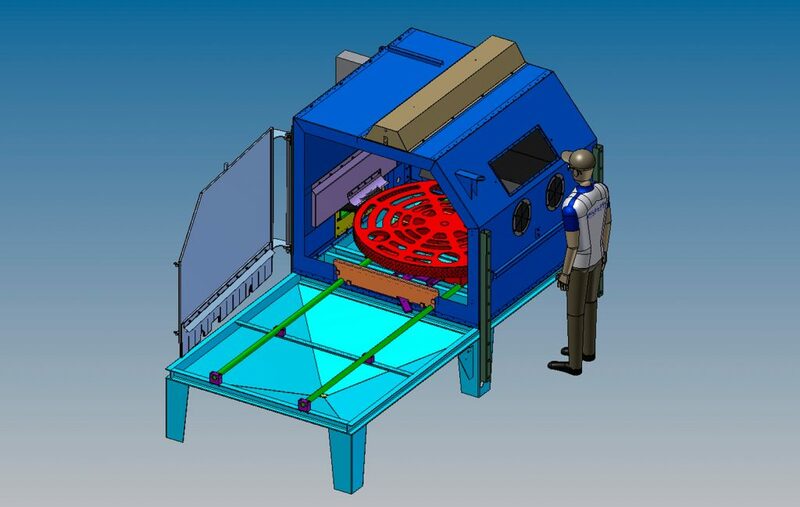 Years of experience with the devices for the surface treatment resulted in the extension of the activity to reconstruction and general repairs of the devices. The replacement of the filtration units, repairs, and exchanges of spinning units for the automatic jetting machines. During the last five years, the company modernized and reconstructed the devices several times. The company has built a good position on the Czech and Slovakian market. It exports to the EU countries, and outside the EU countries (Russian federation, Belarus, Kazakhstan, Africa). 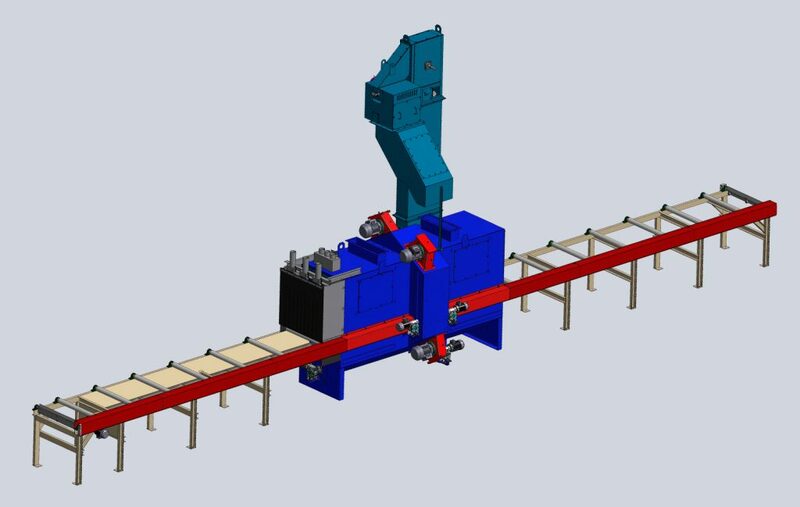 In 2012, the modernizing of the machine equipment commenced. Particularly the investment in the device for sheet metal processing and the welding device. Between 2014 and 2018 a construction of a production facility was completed. The construction of facility B02 – shook and storage of high-grade steel, compressors. The assembly hall B04 was constructed for the location of new varnishing rooms for the application of wet paints. Final assembly of produced devices is completed in this hall. Currently, the construction of hall B06 is in progress – Storage of completed products. The construction will be completed in June 2019.